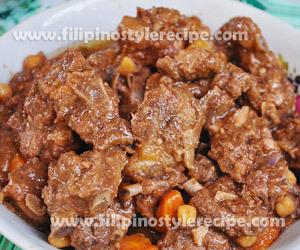 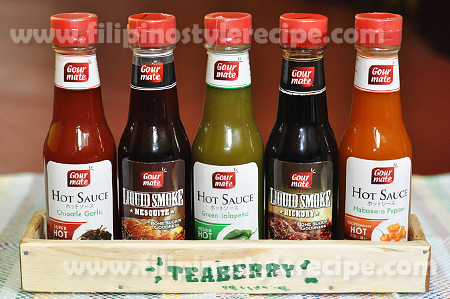 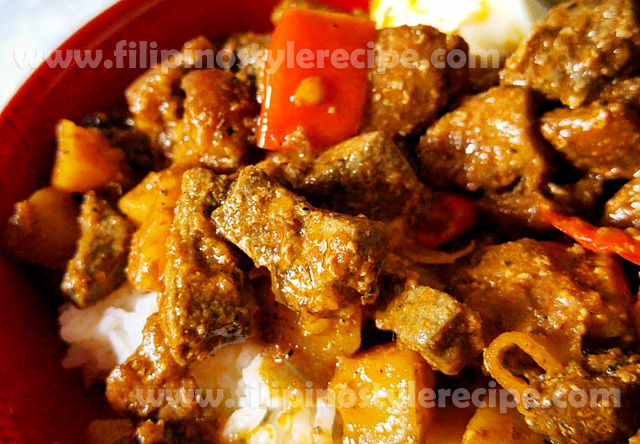 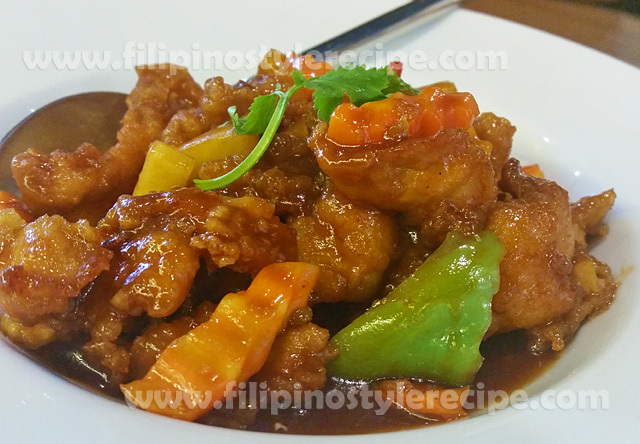 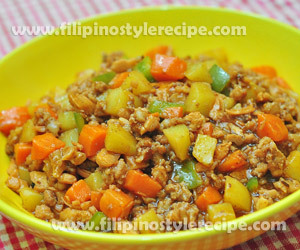 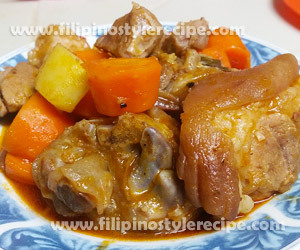 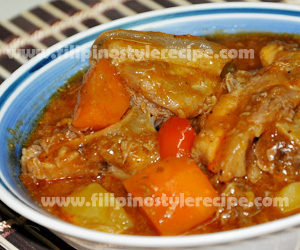 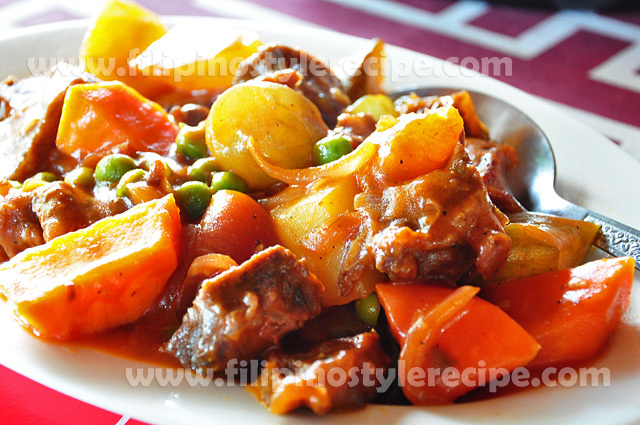 Filipino Style Recipe: Pork Pata Caldereta or Kalderetang pata ng baboy is another variety of Filipino tomato-based caldereta. 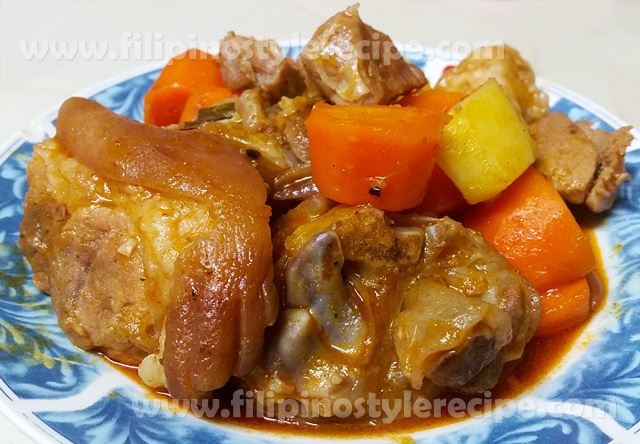 Normally the pork leg boiled until tender, then cooked in tomato sauce, bell pepper, carrots and potatoes. 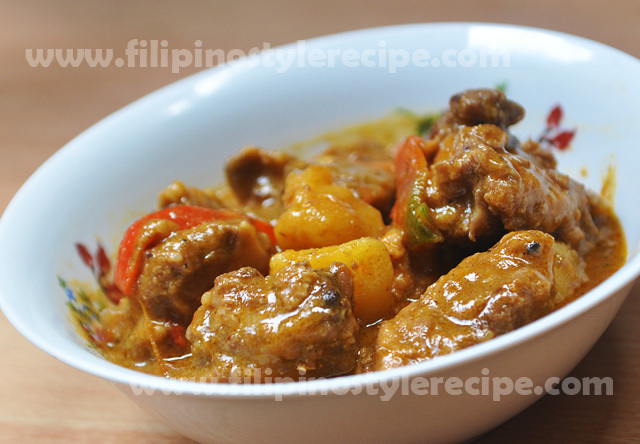 Some may add liver spread and cheese to make the sauce creamy. 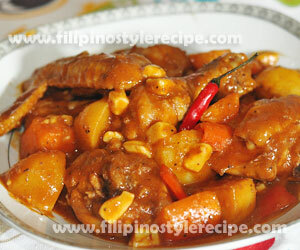 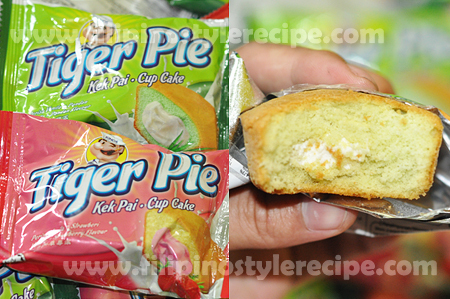 This is another mouth-watering dish and one of my favorite.